Or add more pieces for something a bit flashier. The clear polish base acts like glue so the pieces stay right where you put them. 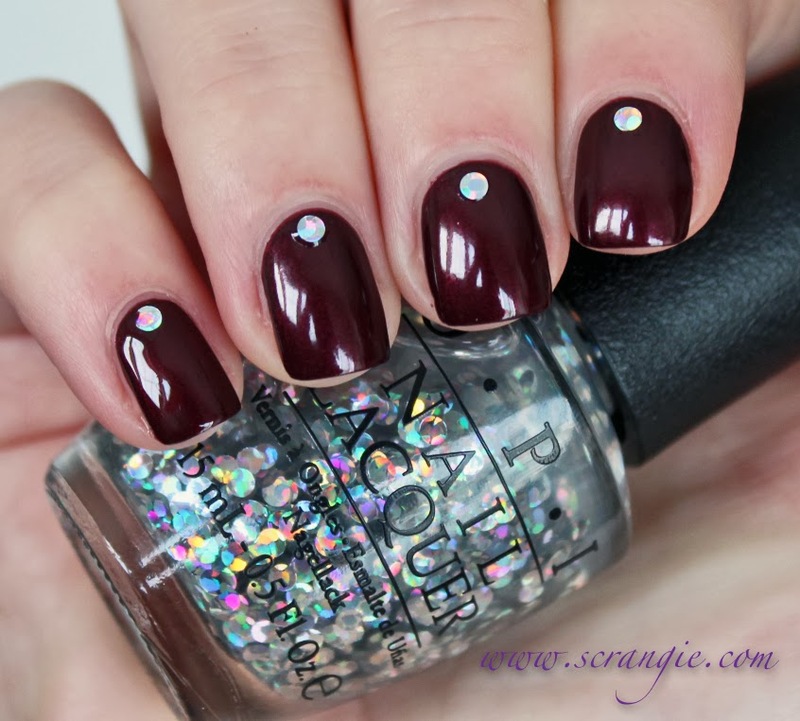 Just be sure to let the clear polish on the dots dry before adding topcoat or else they might slide around a bit. The formula on all of these was perfect. Application was so uneventful that there's nothing I can really say other than that they all apply exactly how polish should. I did three coats of each polish (only the glitters and Ski Slope Sweetie actually needed three) and dry time was very fast. My favorite of this collection is My Favorite Ornament, but I'm also really into Ski Slope Sweetie. It's a lot like China Glaze White Cap from a few years back. It's sheer enough at one coat to use as a color-transforming topcoat over various base colors (it adds gold, yellow and green iridescence and glass fleck shimmer), but I love how it looks all by itself at three coats. 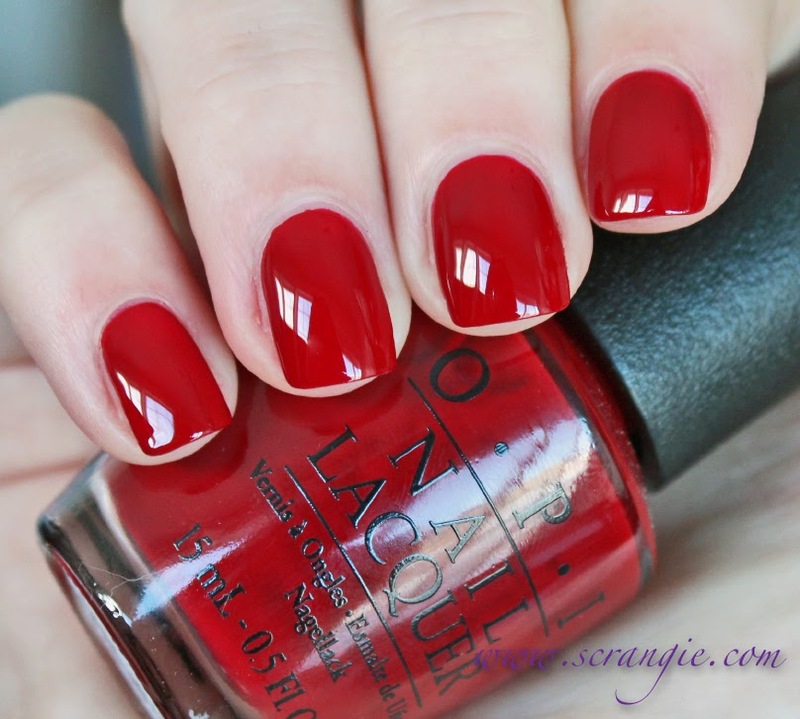 This collection also includes six new shades of OPI Liquid Sand textured polish, which you can see swatched here. Mariah Carey Holiday is limited edition and can be purchased at Professional Salons, including Beauty Brands, Beauty First, Chatters, Dillard’s, jcp Salons, Pure Beauty, Regis, Trade Secret, ULTA and ulta.com for $9.00 ($10.95 CAN) suggested retail for each nail lacquer. 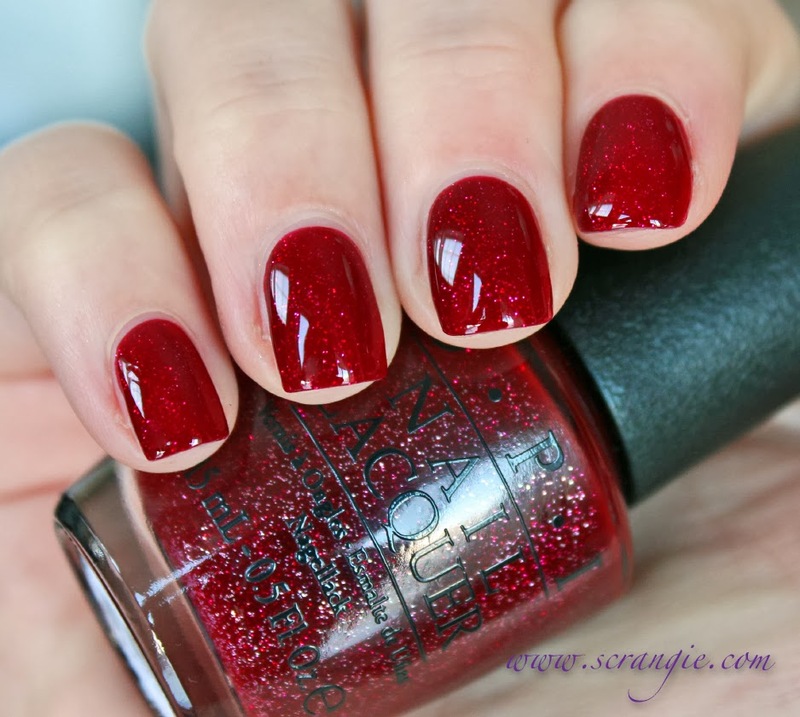 I passed on Underneath the Mistletoe because I already had a few red jelly/glitter polishes that look similar, but oh man am I drooling over it here in your swatch!! I was expecting to like Wonderous Star the most out of this collection, but my favorite turned out to be All I Want For Christmas (is O.P.I). It's not a unique color at all, but it's just such a perfect red. I have Underneath the Mistletoe and I'm considering buying I Snow You Love Me because I have a weakness for holographic glitter. :D I'm definitely going to buy Emotions from the liquid sands too. Overall this collections looks very nice based on your swatches but most of the polishes seem quite similar to the ones I already own. As usual, you make me want things I didn't want before! I love these golds! Wow! Oh my gosh the way you paint your nails... so jealous! everyone stated what i thought as well, your swatches are the best , hands down. 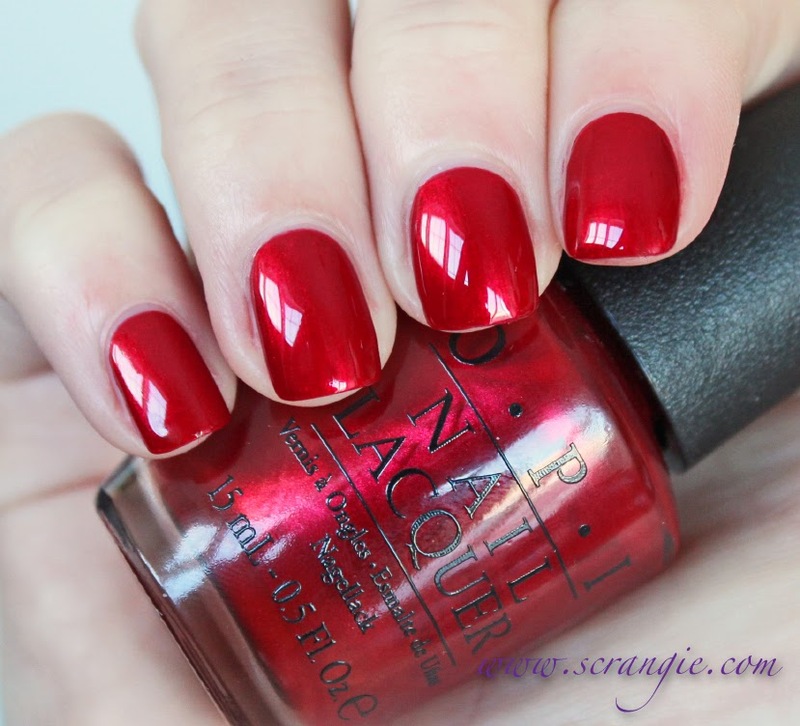 I like Ski Slope, Visions and Ornament and your swatches are as enticing as ever, but I do feel it's nothing we haven't see before from Opi. Santa suit looks like one from the Bond collection, remind me?